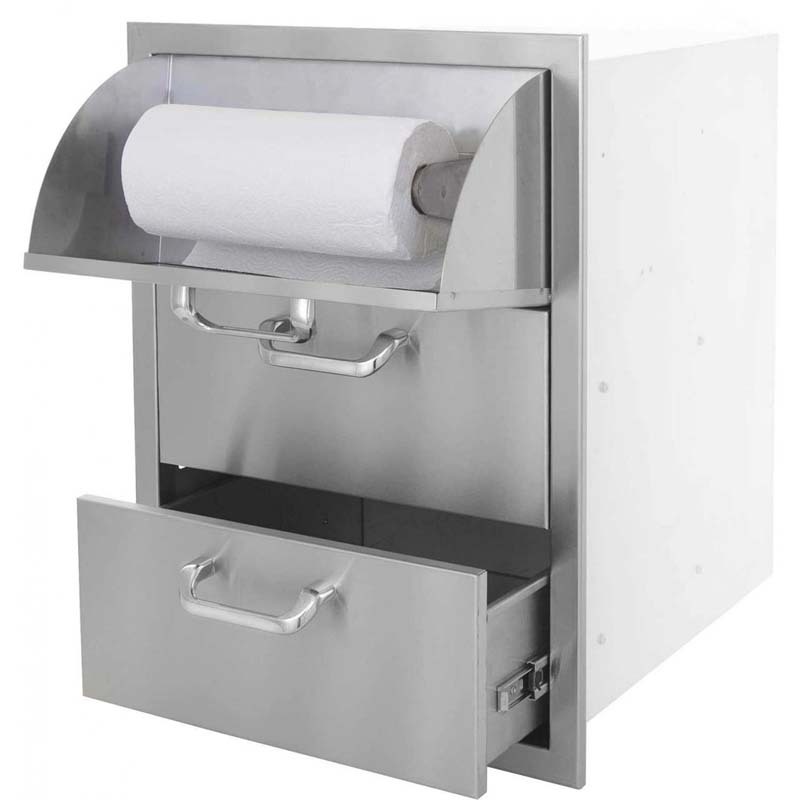 This DCS access drawer features a large section which can be used for storage of a propane tank on the right. There is an opening within the floor of this section to accommodate the circular bottom of a propane tank. If not using a propane tank, use this section as a trash bin (standard 7 gallon office trash can fits this side nicely and covers the propane hole at the bottom). 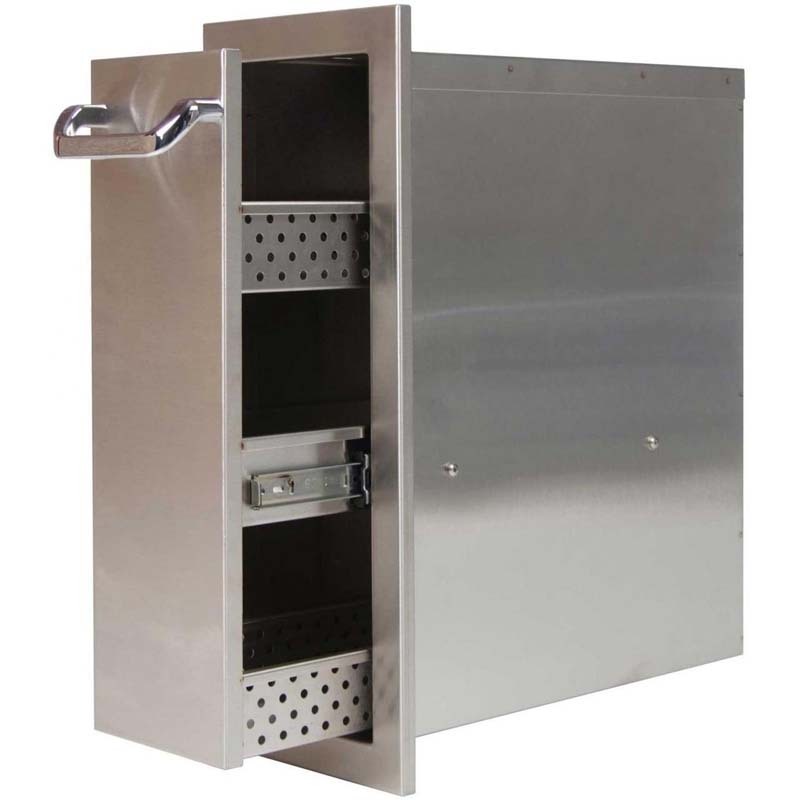 The middle drawer is completely enclosed and has a drain enabling this side to be used for cold storage. Fill the bottom of this drawer with ice and simply open the drawer and pull the drain plug to drain. 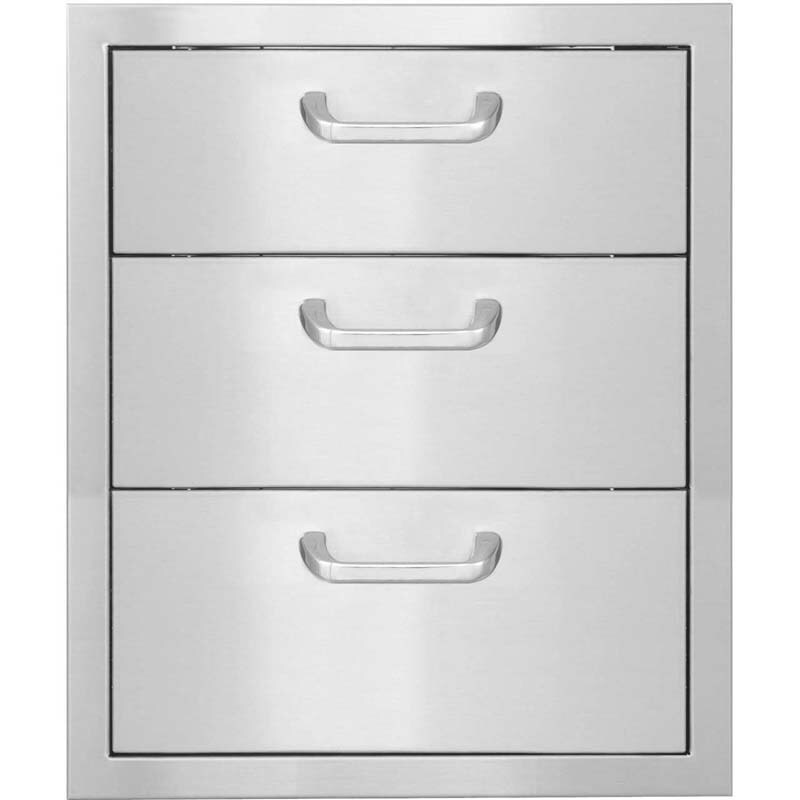 This drawer has two stainless steel shelves inside. One shelf is a standard grate type shelf used for storage. The other shelf has a solid bottom and will accommodate the DCS blue ice pack (sold separately) or can be used for storage. The top left drawer is open on the top and back. 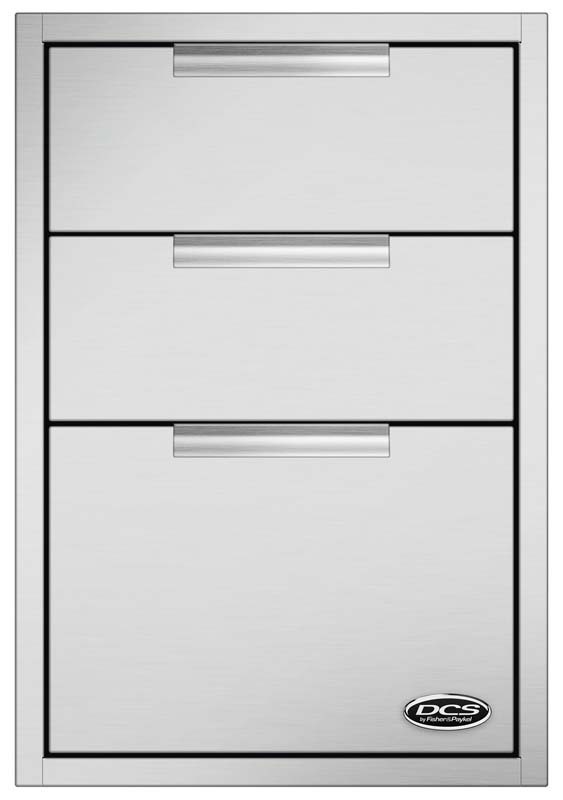 This drawer is for storage and has a removable 3 position divider. The lower left drawer also has a drain for cold storage.